A Russian man who is indicted in the Western District of Washington for cyber attacks on Seattle-based Amazon.com was arrested in Cyprus this week on an international warrant, announced U.S. Attorney Jenny A. Durkan. Dmitry Olegovich Zubakha, 25, of Moscow, was indicted in May 2011, for two denial of service attacks on the Amazon website. The indictment, unsealed today following his arrest on July 18, 2012, also details denial of service attacks on Priceline.com and eBay. The illegal hacking and denial of service attacks outlined in the indictment occurred in June 2008. Zubakha is charged in relation to the attacks with conspiracy to intentionally cause damage without authorization to a protected computer, and two counts of intentionally causing damage to a protected computer resulting in a loss of more than $5,000. Zubakha is also charged with possession of 15 or more unauthorized access devices, and aggravated identity theft for a separate incident involving the possession of stolen credit card numbers in October 2009. The United States is seeking to extradite Zubakha from Cyprus. He remains in custody pending extradition. “This defendant could not hide in cyberspace, and I congratulate the international law enforcement agencies who tracked him down and made this arrest. According to the indictment, Zubakha is alleged to have mounted a denial of service attack against Amazon on June 6, 2008 and again on June 9, 2008. In both instances, the attacks disrupted the ability of customers to access the Amazon site for hours while the company attempted to deal with the attacks from a ‘botnet’ or web of connected computers. Zubakha, and another Russian hacker, allegedly launched the attacks against the Amazon servers by having the botnet computers request large and resource intensive web pages. The attacks made it difficult for Amazon customers to complete their business on line. Zubakha and his coconspirator claimed credit for the attacks in hacker forums. In one instance a co-conspirator called a victim company, Priceline.com and offered his services as a consultant to stop the denial of service attack. In October 2009, law enforcement traced the possession of more than 28,000 stolen credit card numbers to Zubakha and his co-conspirator. Zubakha is charged with aggravated identity theft for illegally using the credit card of a Lake Stevens resident. “The investigation culminating in the arrest of Dmitry Zubakha by authorities in Cyprus was extremely complex. The apprehension of Zubakha is the result of a concerted effort by the Secret Service, the U.S. Attorney's Office for the Western District of Washington and the Seattle Police Department. 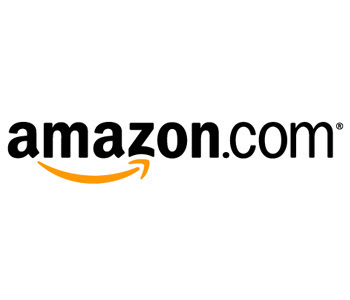 I would also like to commend Amazon.com for its forthrightness and assistance in dealing with this series of computer network attacks which had the potential to adversely impact the company's ability to serve its customers,” said James Helminski, Special Agent in Charge of the U.S. Secret Service in Seattle. Conspiracy is punishable by up to five years in prison. Intentionally causing damage to a protected computer resulting with a loss of more than $5,000 is punishable by up to ten years in prison and a $250,000 fine. Possession of more than 15 unauthorized access devices is punishable by up to ten years in prison and a $250,000 fine. Aggravated identity theft is punishable by an additional two years in prison on top of any sentence for the underlying crimes. The case is being investigated by the U.S. Secret Service Electronic Crimes Task Force which includes detectives from the Seattle Police Department. The Office of International Affairs in the Justice Department’s Criminal Division provided substantial assistance. Assistant United States Attorney Kathryn Warma is prosecuting the case in the Western District of Washington.